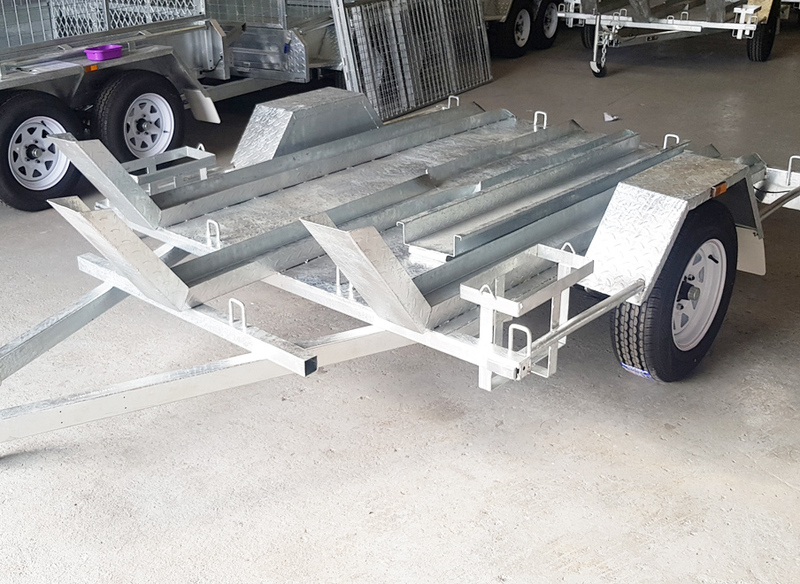 Holes strategically positioned around the structure to keep your motorbikes fixed to the trailer with hangers. 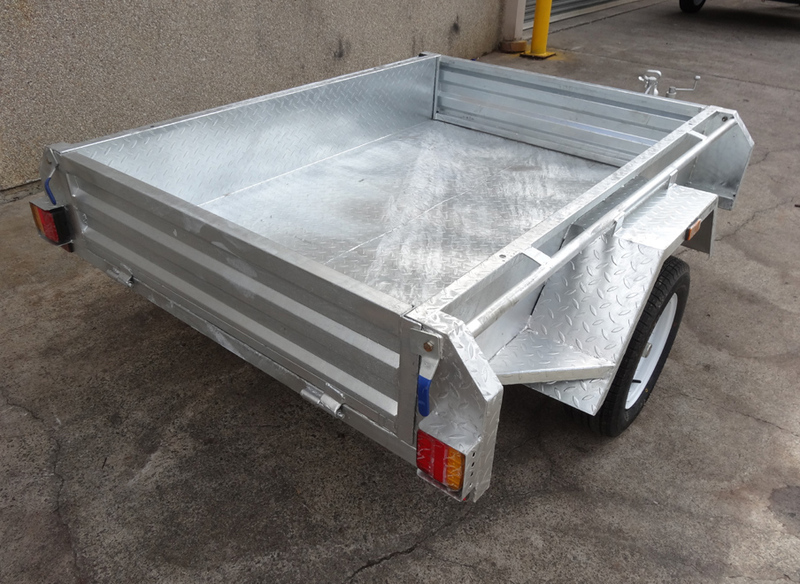 Incomparable galvanised coating that makes the entire structure more resistant to all kinds of damage. 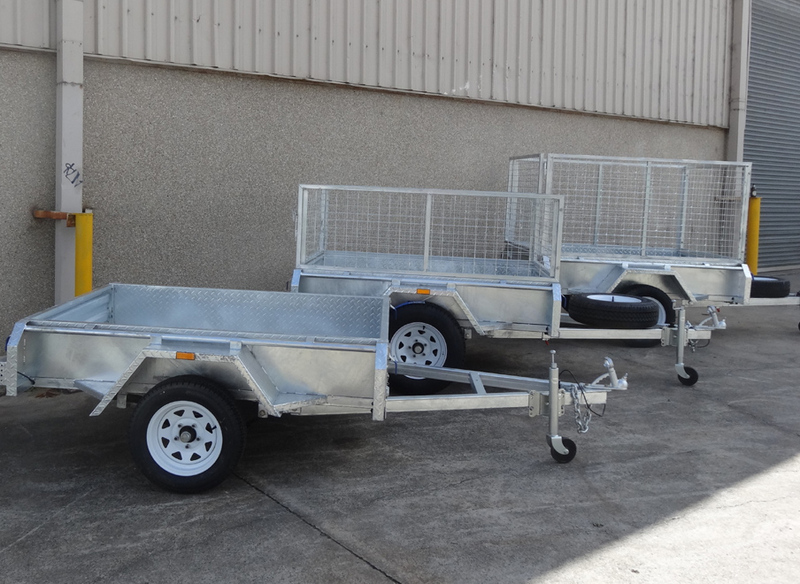 You can transport up to 3 motorbikes in our premium quality trailers. 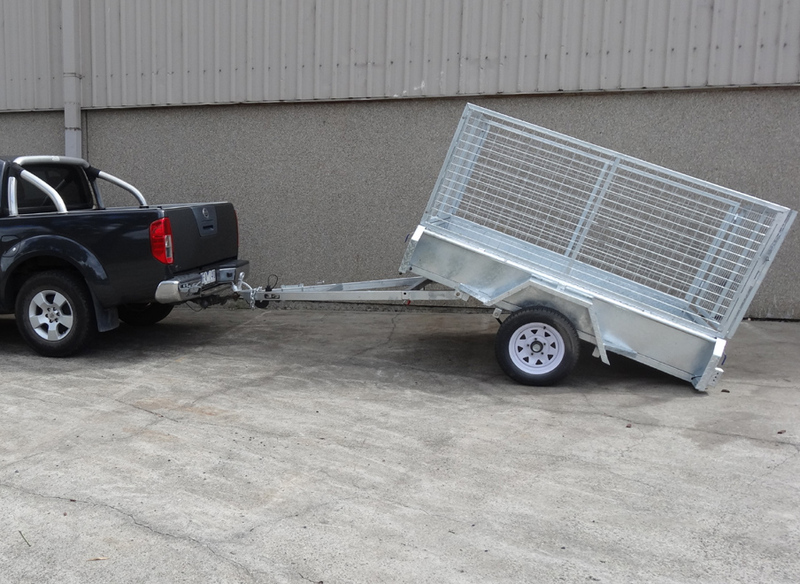 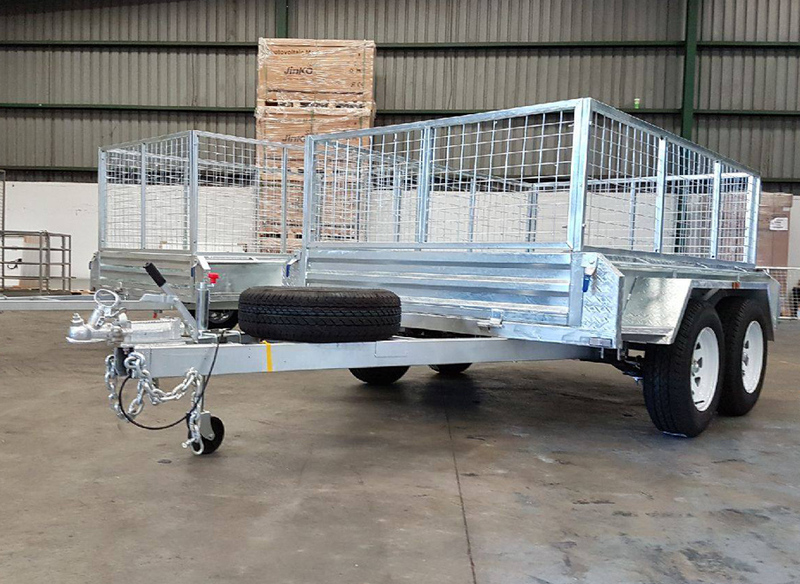 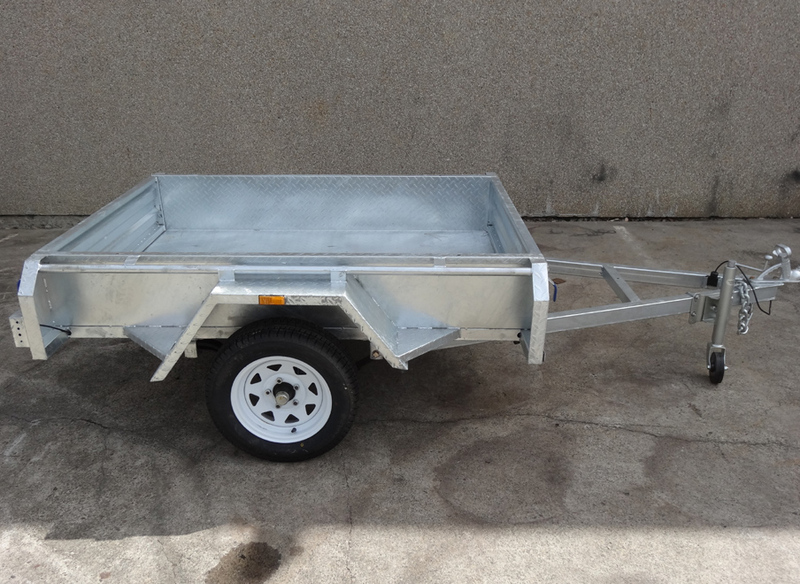 Highly reliable solution that is made to last longer than any other trailer in the market. 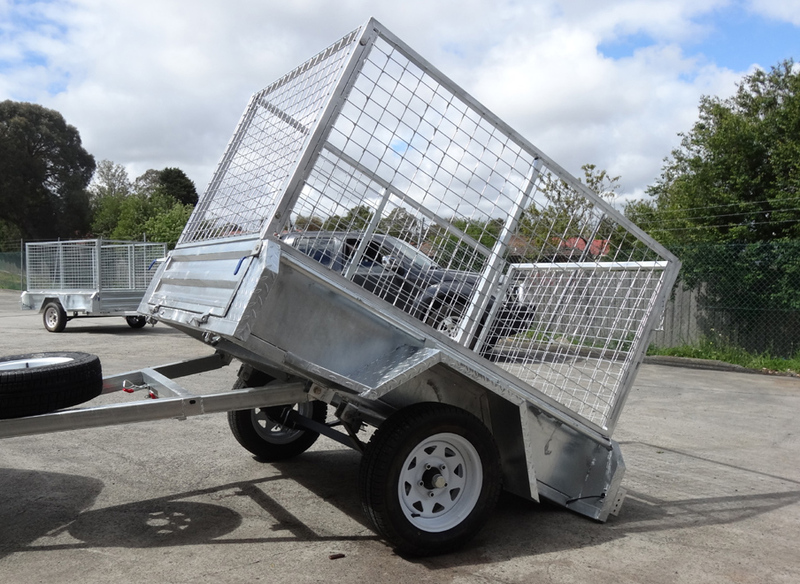 Heavy Duty Greasable swivel Jockey Wheel. 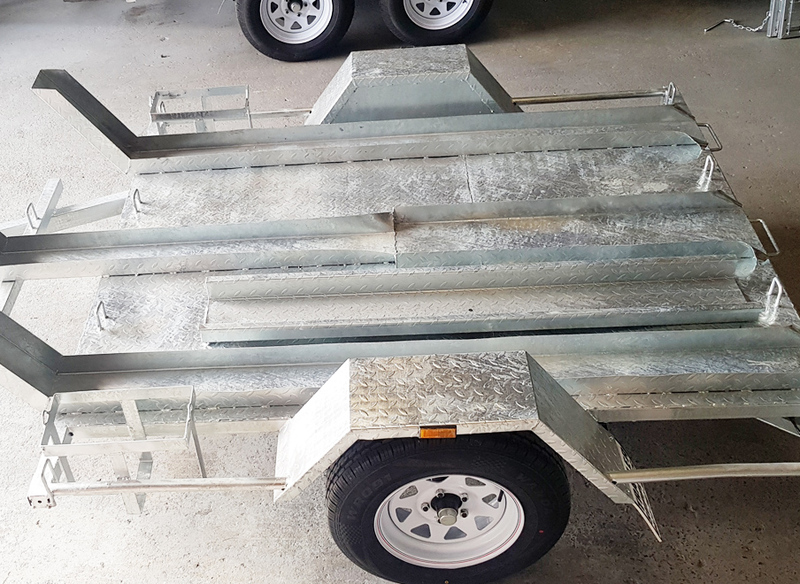 New Plug-In Design Cage (Sturdy and Easy to Remove). 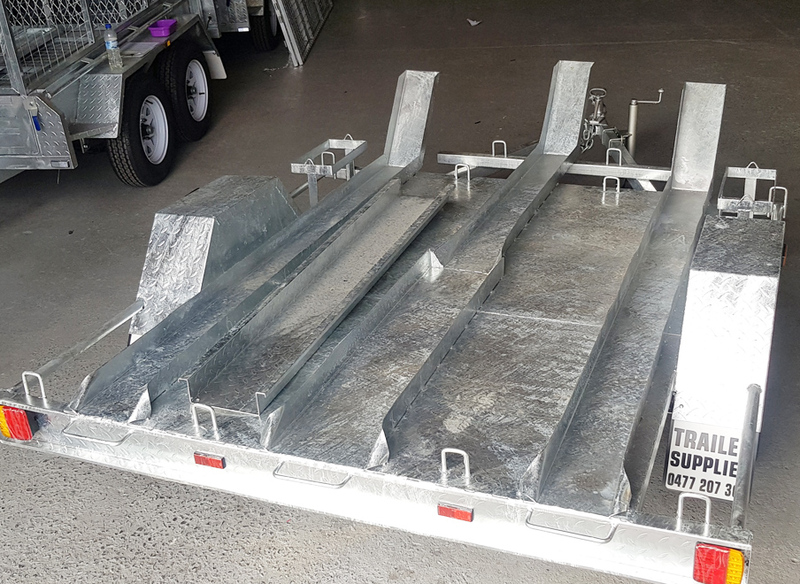 Tie Down Rails (heavy gauge) are Welded All Around the Trailer. 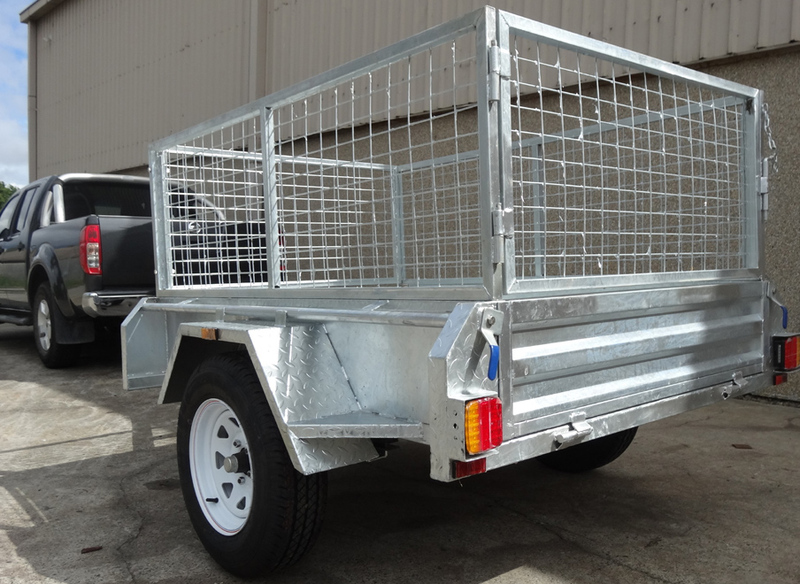 Front and Rear Tailgates That Can Be Easily Removed. 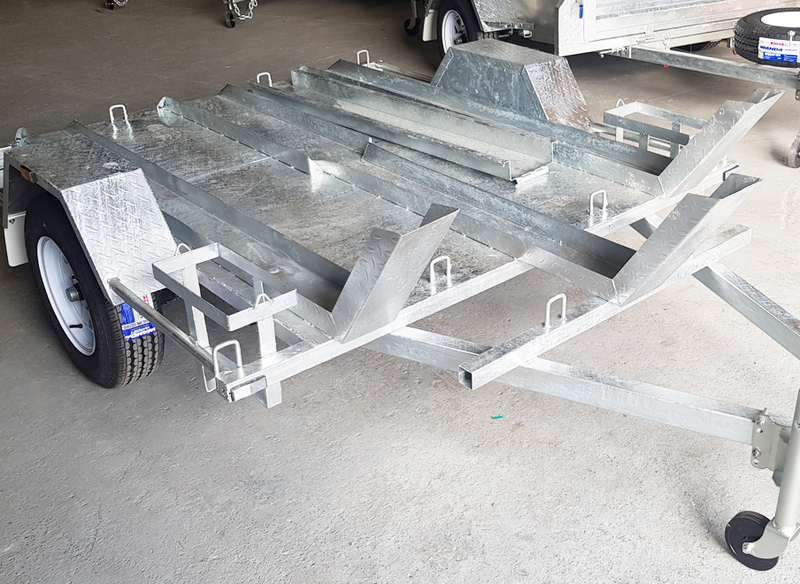 Tipper Trailer with 600m Cage.